Let's dispense with the easy ones the way Jason dispenses with hapless teenagers. Jason Voorhees isn't the killer in the original Friday the 13th, at least not until the very last scene. He didn't get his iconic hockey mask until Part III. (In the second one, he's wearing what looks like a pillowcase or a potato sack.) A ton of actors have played the machete wielding killing machine, but Kane Hodder has done it most, donning the mask in four different movies and Friday the 13th: The Game. Now let's take a deeper dive toward the bottom of Crystal Lake with this iconic killer, shall we? 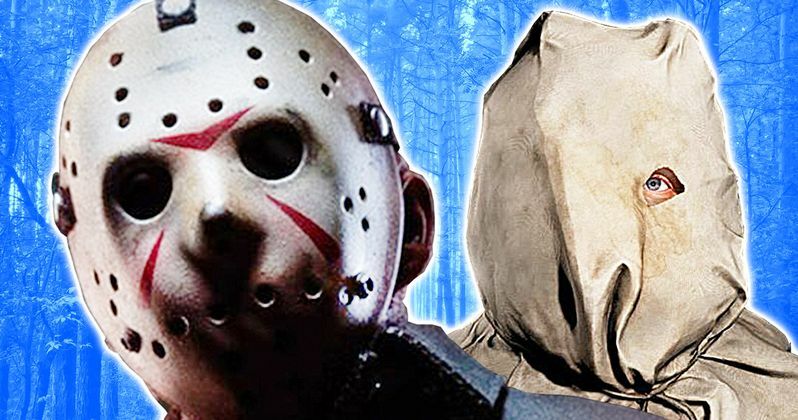 Today, we're rediscovering 10 things you probably never knew about Jason Voorhees. Jason was almost named Josh. In the pantheon of movie killers, he's achieved a status like Bono, Madonna, Sting, or Tupac. Like his onscreen nemesis Freddy, the killer of the Friday the 13th franchise has a first name that is so identifiable with the character that it often isn't even necessary to use his last name in conversation. Think about it: Freddy! Jason! Now imagine if Jason Voorhees had been named... Josh. Josh Voorhees. Screenwriter Victor Miller recognized this initial name for the bad idea that it was and chose to name Mr. Voorhees after a kid who'd bullied him at school. Take that, school bullies! The original title was A Long Night at Camp Blood. The version of the script with the name "Josh" had yet to be titled Friday the 13th. Victor Miller's script was called A Long Night at Camp Blood. But director Sean S. Cunningham floated the title Friday the 13th with a logo, an advertisement in Hollywood trade publication Variety, and a slogan, "the most terrifying film ever made!" Before a finished draft of A Long Night at Camp Blood was in his hands. Jason was never supposed to be the star. It's evident just a few minutes in to movies like Jason Lives and Jason X that Mr. Voorhees is the star of the show. Horror audiences aren't so much rooting for the generally unlikable victims to survive as they are looking for increasingly thrilling and inventive kills. It's a very specific type of cinematic escapism, to be sure. But originally, Friday the 13th was intended to be an anthology series. Each movie would have taken place, presumably, on Friday the 13th. But not only did Jason become the series star after his terrifying reemergence at the end of the first film, but the date in the title became something of a moot point. The first two movies take place on Friday the 13th, but Part III takes place the following day, Saturday the 14th (not to be confused with the 1981 horror comedy.) Part IV takes place on Sunday and Monday. After that, it seems like the series' producers mostly abandoned the device. We did ultimately get a Friday the 13th anthology series on television. Unlike the anthology series Freddy's Nightmares, which featured Freddy as host and occasional star, 1987's Friday the 13th: The Series was Jason free. I mean the dude doesn't talk. Wait, Jason speaks? OK, he actually did talk. Once. And it was really stupid. Hop onto Google and type "did Jason ever..." and the search suggestion most likely to appear will be "talk." In Jason Goes to Hell, the otherwise silent killer did speak. As much as we wish he'd said something cool like "Puny Human," his line was just, "Freeze! Get the hell away from her, Ed!" See, in Jason Goes to Hell, a mortician eats Jason's heart, which allows Jason to possess his body. After that, Jason jumps from host to host, taking the form of a slug and crawling into people's mouths. Toward the end of the movie, the girl with the magic dagger that can kill Jason once and for all is trying to figure out which of these two cops is possessed by Jason. And Jason fools her. By speaking. In the DVD commentary, the film's writer and director both admit they knew they were breaking a pretty serious Jason rule. To be fair, Jason speaking in Jason Goes to Hell is by no means the dopiest part of this movie. What happened to the first Jason? Before he was a slug, before he went to hell, and before he went to Manhattan, Jason was a tragic little kid, thought to be dead until he came splashing up for the first movie's final kill. Horror convention fans have had plenty of chances to meet Kane Hodder, but super fans know there's always a chance to meet Ari Lehman, the child actor who played Jason in the 1980 original. Apparently the most important question at the audition was: "can you swim?" Anyway, the first Jason is actually the frontman for a horror themed punk/metal band and that band is called... First Jason.